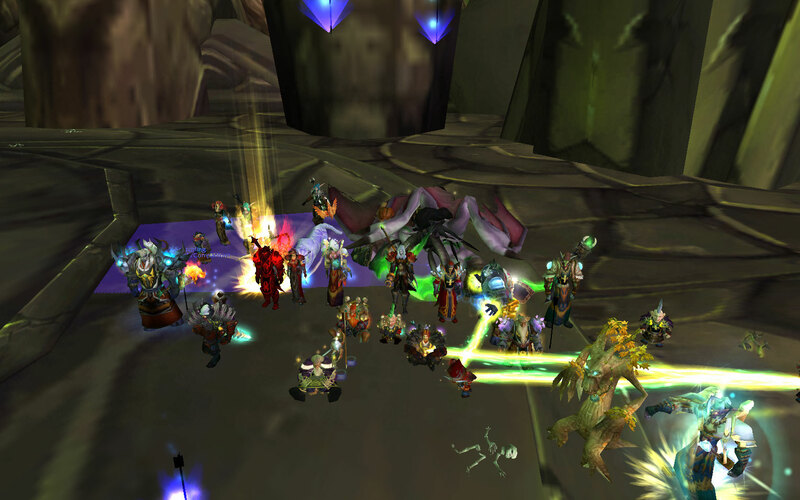 STNY is one of the oldest guilds on the Mannoroth server. We are always looking for mature players to join us for fun and conquest. Thursday, April 23, at 8:00 pm EST on the STNY guild ventrilo server. Bring questions/comments. This will be a townhall style meeting. STNY downed Malygos. This completes the 25 man content for us. Good work raiders. 3.0.8 Released. Patchnotes. Members see member forums for patch download if the Blizz downloader is going slow. Last night STNY was able to push through the last few bosses in Naxx 25. Great work last week raiders! The progression page has been updated accordingly. Three bosses in one night: Patchwork, Grobbulus, and Gluth. Way to go raiders! Progression page has been updated accordingly. Last night STNY completed the Military Quarter of Naxx 25 by downing the Four Horsemen. I updated the progression page. A DKP page has been added to stny.org to help you keep track of your points. Talk to Kymanis (loot officer) if you have any questions. I have readded the Progression page. Currently it only has Naxx 25. I’ll be adding the rest of the 25 mans soon. Well its been great so far guys. Our labored effort to build a good raiding team in BC is starting to prove itself. BT is Clear… great job raiders. You are currently browsing the stny.org weblog archives.